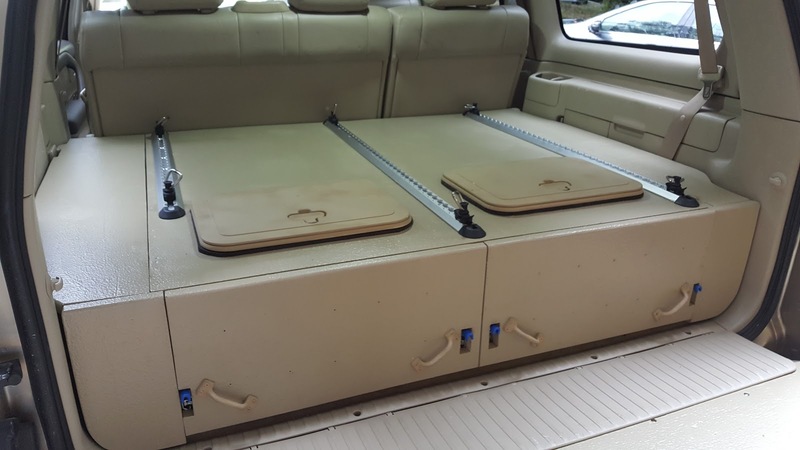 After finishing up the Land Cruiser overland off-road drawer build we had to decide on a method to secure cargo on top of the drawer. We thought about using D-rings in the corners or three on each side and a row in the middle but we all know as your cargo load changes the set locations tend to not be ideal. 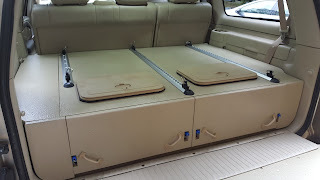 We decided to use Steadymate L-track from US Cargo Control to give us maximum securing flexibility. There are three main types of L-track, standard, angled, and recessed mount. Standard is nice because it comes in several powder coated colors. It is also slightly narrower than the angled track making it ideal when you have tight space considerations. Recessed is nice because everything could be flush mounted to the drawers. I would have preferred the recessed mount but was worried about weakening the top of the drawers due to the required mounting depth and I was also concerned that if I wanted to move or change things in the future that would no longer be an option. Angled I chose angled since it seemed it would be easier to drag gear over. End Caps We also installed end caps to ensure no snagging on the ends of the track. Click on the image for current pricing. D-Rings There are many styles of tie down accessories these are the ones we chose to to the rubberized coating and look. They hold a little less than the all metal options but hold way more than we will ever secure on the drawers. Click on the image for current pricing. 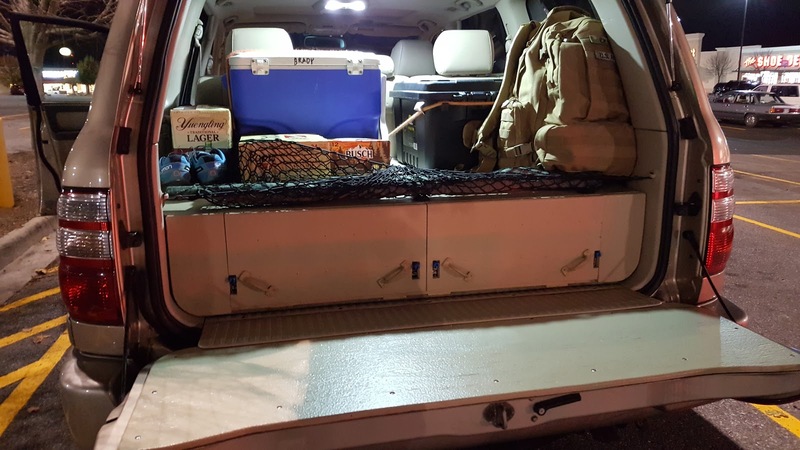 Check out this video to check out the install in the land cruiser.